Chapter 24. 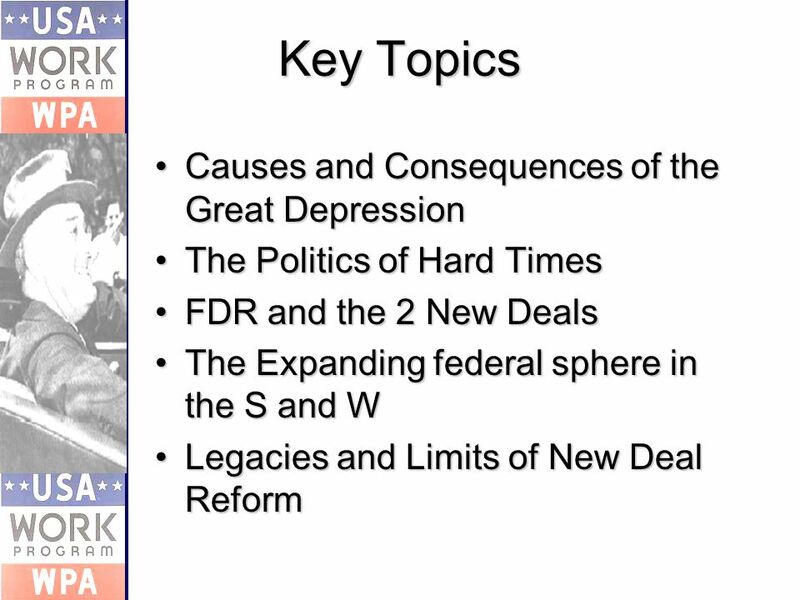 Key Topics Causes and Consequences of the Great DepressionCauses and Consequences of the Great Depression The Politics of Hard TimesThe Politics. 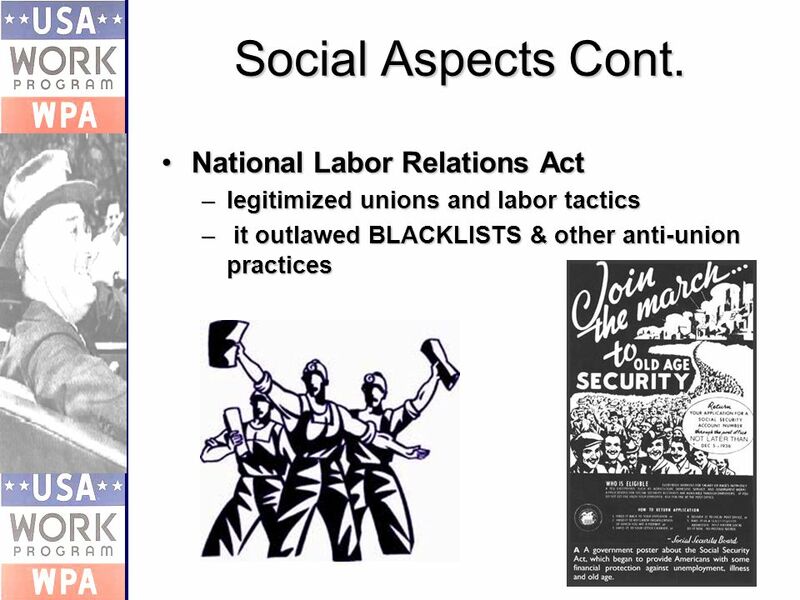 20 The Impact of the New Deal A 3rd revolution in American culture and politicsA 3rd revolution in American culture and politics – more gov't involvement but w/in the context of traditional U.S. democracy (not socialist…) New Deal helped in stimulating the U.S. economy, but only WWII would solve any lingering problemsNew Deal helped in stimulating the U.S. economy, but only WWII would solve any lingering problems – unemployed found jobs in munitions factories and the military as the U.S. became the ARSENAL OF DEMOCRACY New Deal saw expansion of U.S. gov't in :New Deal saw expansion of U.S. gov't in : 1) eco. 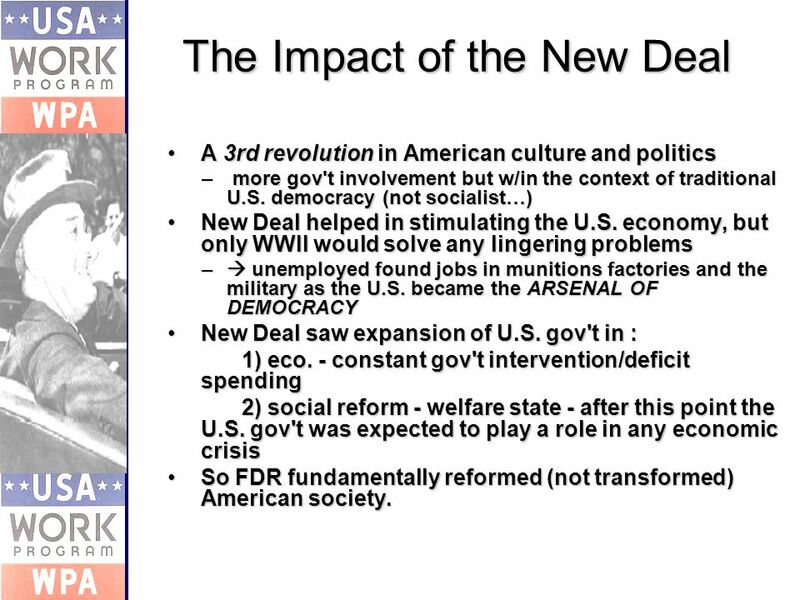 - constant gov't intervention/deficit spending 2) social reform - welfare state - after this point the U.S. gov't was expected to play a role in any economic crisis So FDR fundamentally reformed (not transformed) American society.So FDR fundamentally reformed (not transformed) American society. 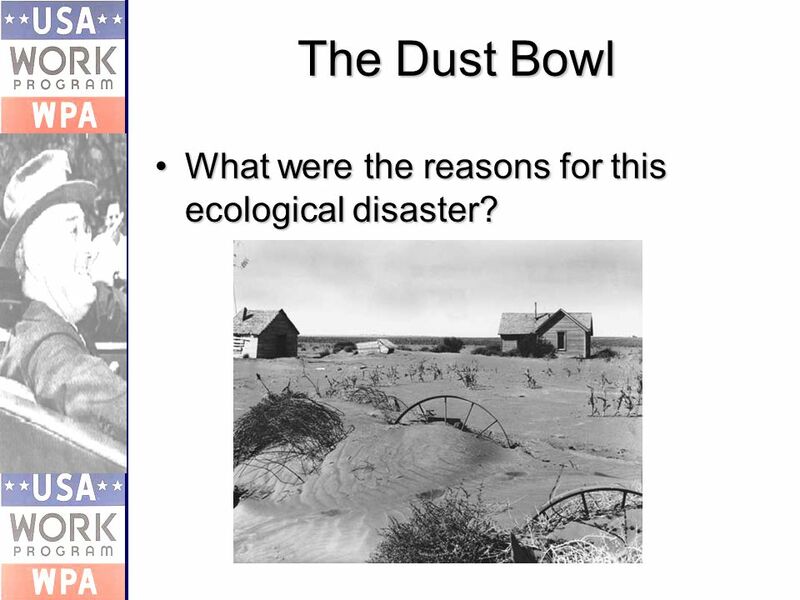 22 The Dust Bowl What were the reasons for this ecological disaster?What were the reasons for this ecological disaster? 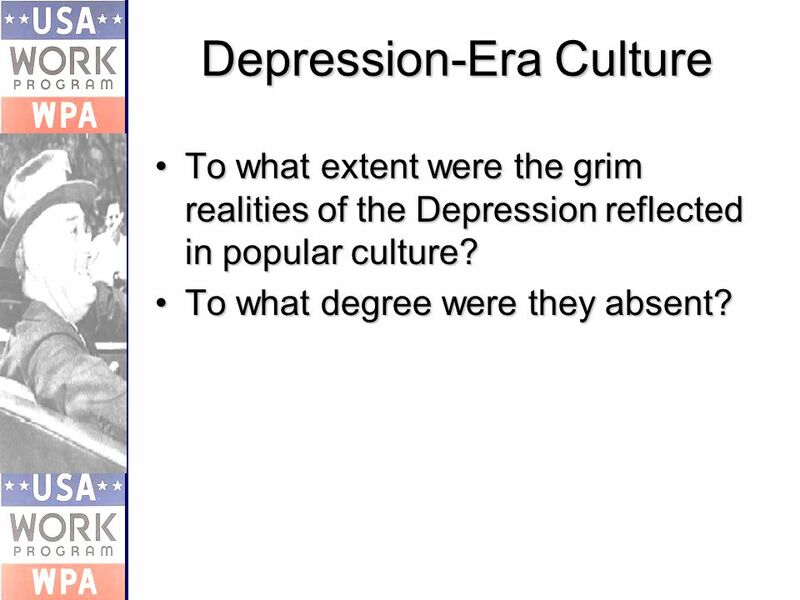 23 Depression-Era Culture To what extent were the grim realities of the Depression reflected in popular culture?To what extent were the grim realities of the Depression reflected in popular culture? To what degree were they absent?To what degree were they absent? 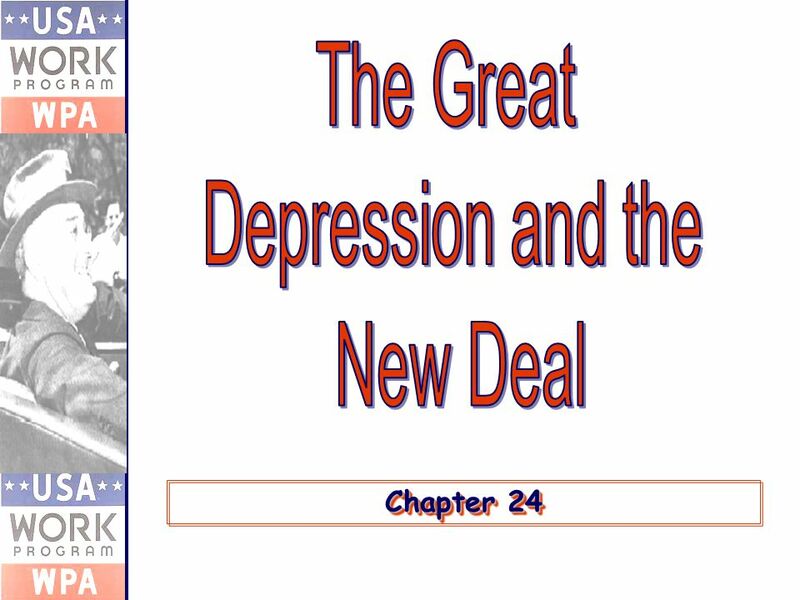 Download ppt "Chapter 24. 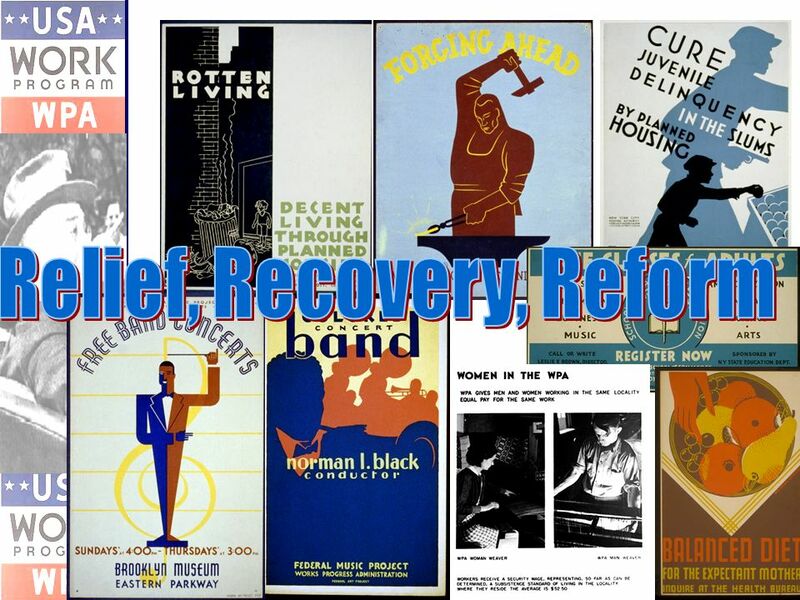 Key Topics Causes and Consequences of the Great DepressionCauses and Consequences of the Great Depression The Politics of Hard TimesThe Politics." 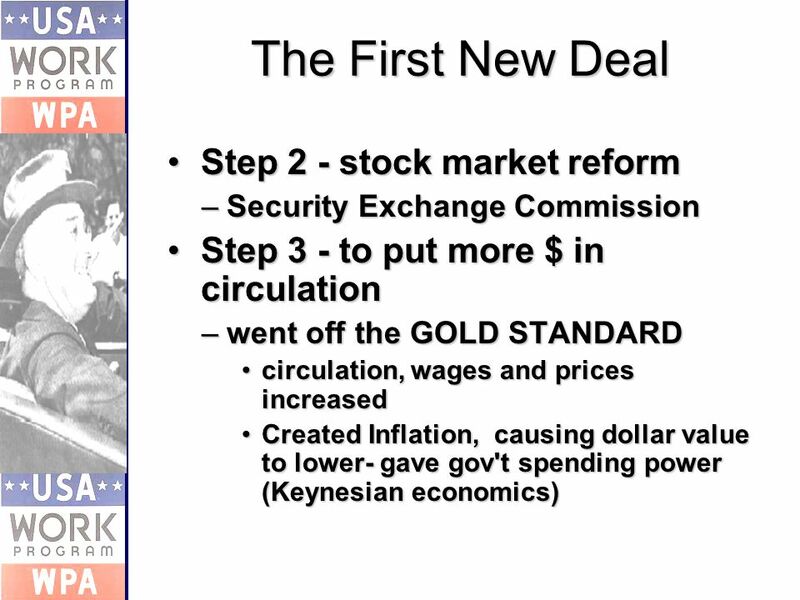 A Brief History of the US Economy The greatest powerpoint about the history of the American economy ever. 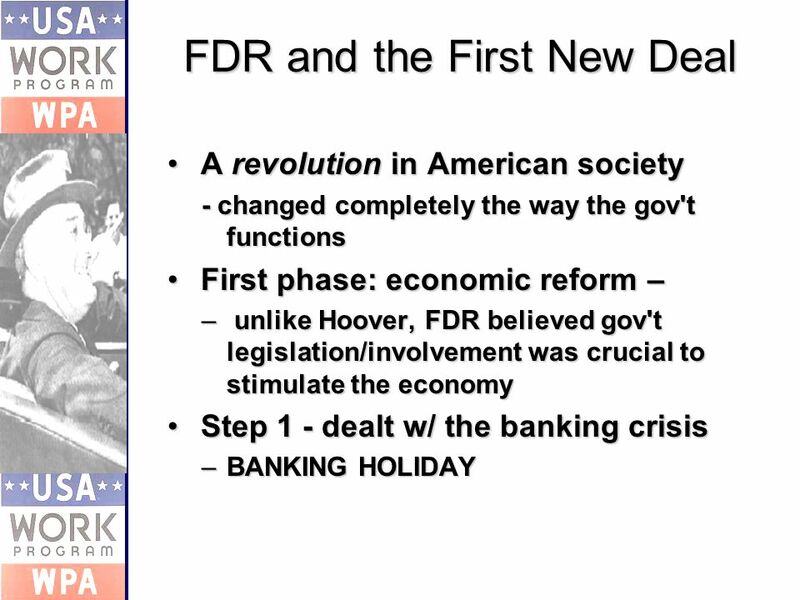 The Depression Hoover and FDR. Business terms to be familiar with Gross Domestic Product – total value of all goods and services produced in one country in one year. Unemployment Rate. © Mark E. Damon - All Rights Reserved Round 1 Final Jeopardy Table 1 Table 2Table 3 Table 5 Table 6 Table 7 Table 4. 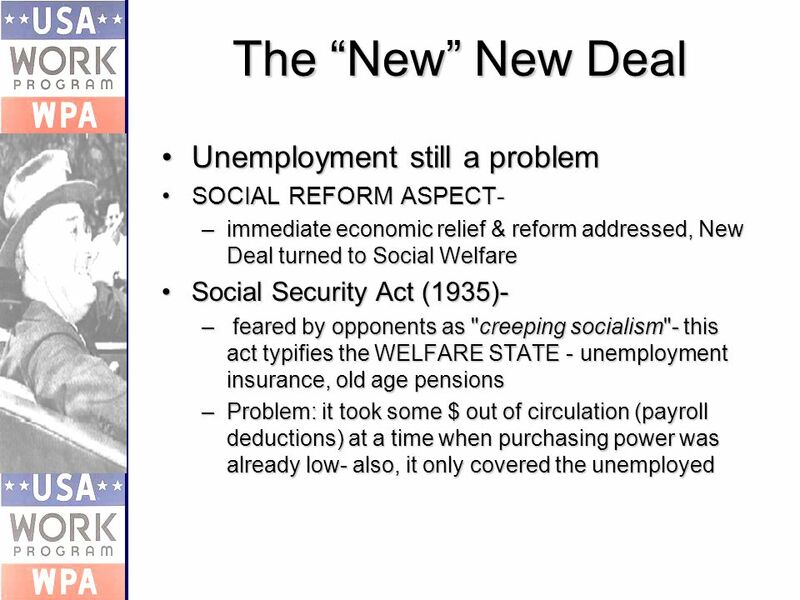  this was the name FDR gave to his new program to fight the Depression  it was a revolution in American society - changed completely the way the gov't. 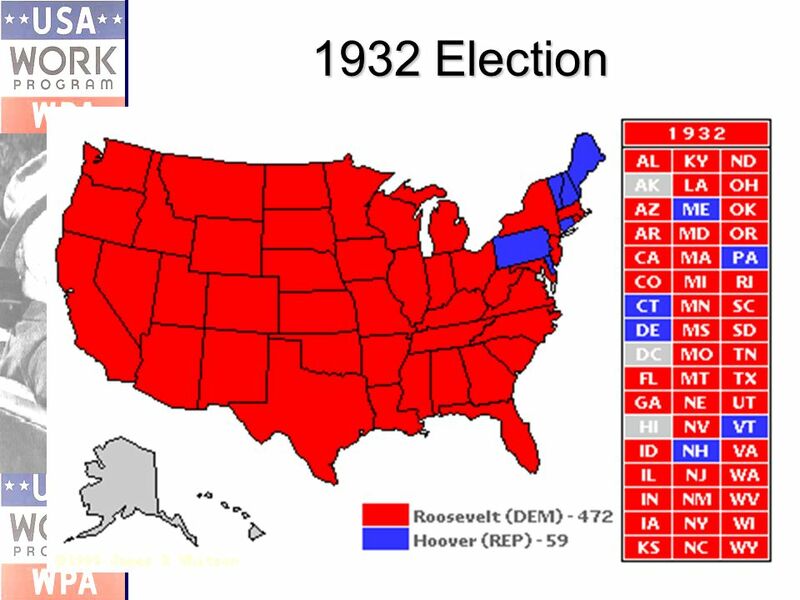 Roosevelt and the Great Depression. 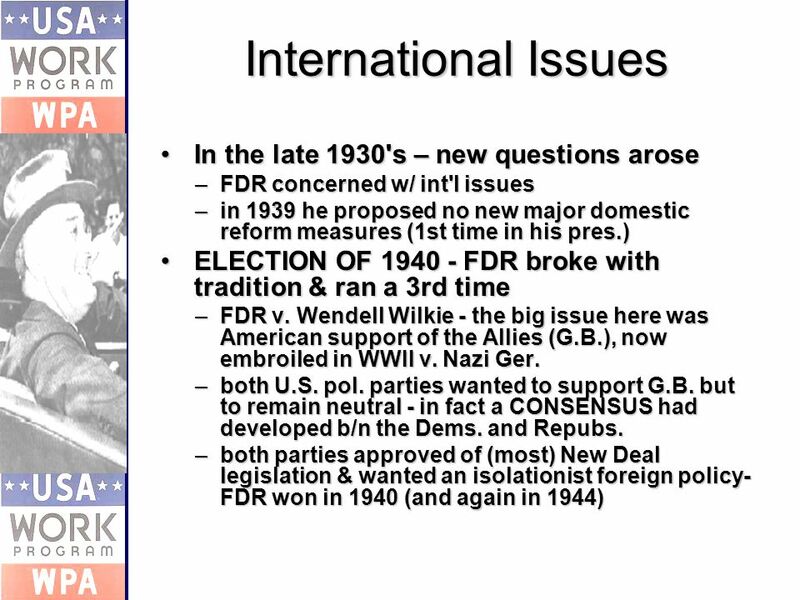 *FDR* When he was inaugurated unemployment had increased by 7 million. Poor sections (like Harlem) had 50% of the. 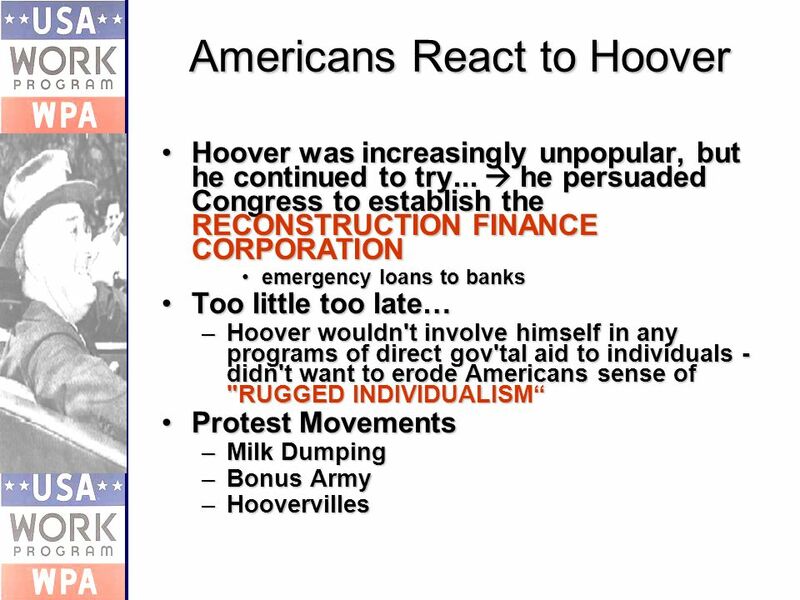 The Great Depression Hopelessness, Hoboes, and Hoover. 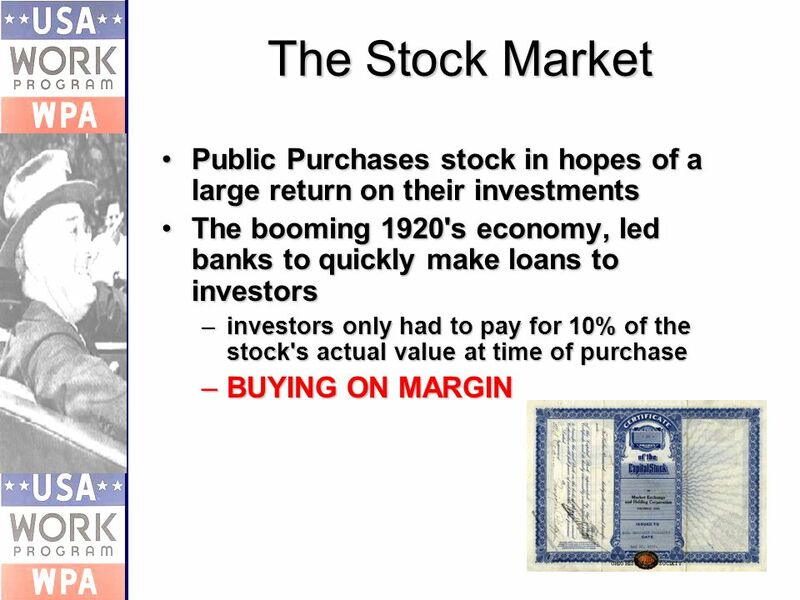 The Great Depression ( Standard 11. 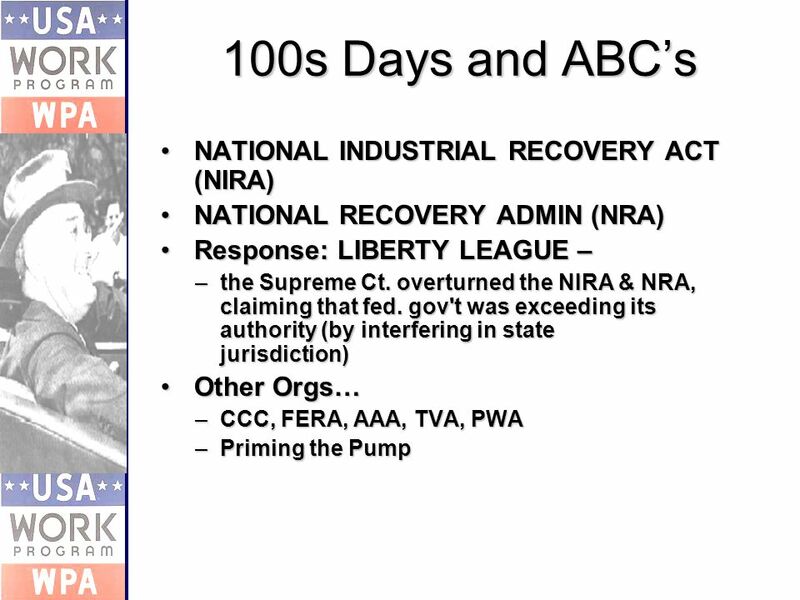 6: The Great Depression and how the New Deal fundamentally changed the role of the federal government.) ( Standard. 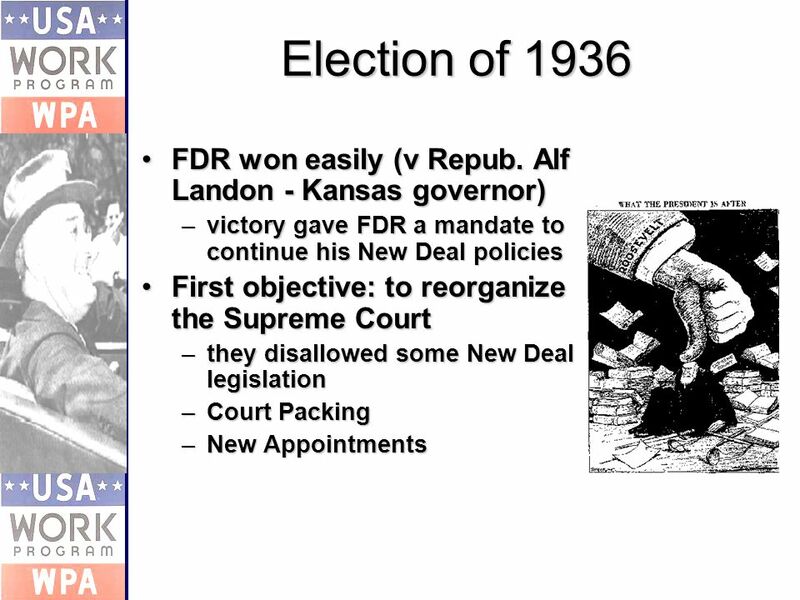 Review for Standard 17 and 18 Test (Friday) 4/12 Great Depression and New Deal. 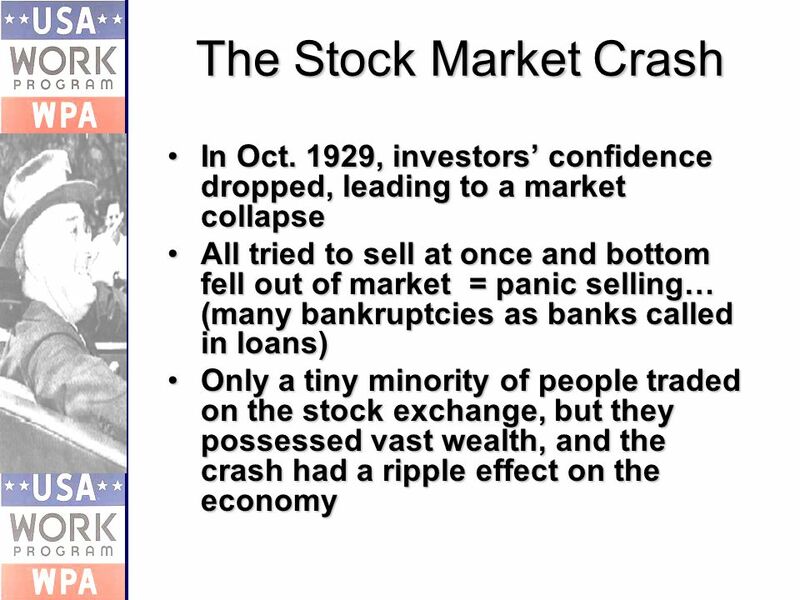 The Stock Market Crash Angela Brown Chapter 22 Section 2. How the Party Ended. 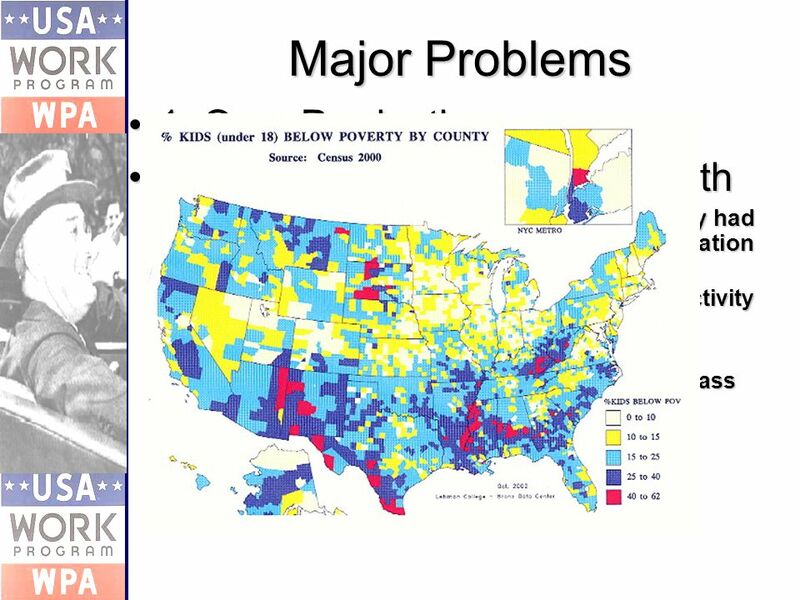 Problem areas prior to the crash Weaknesses in agriculture. Weaknesses in traditional manufacturing. 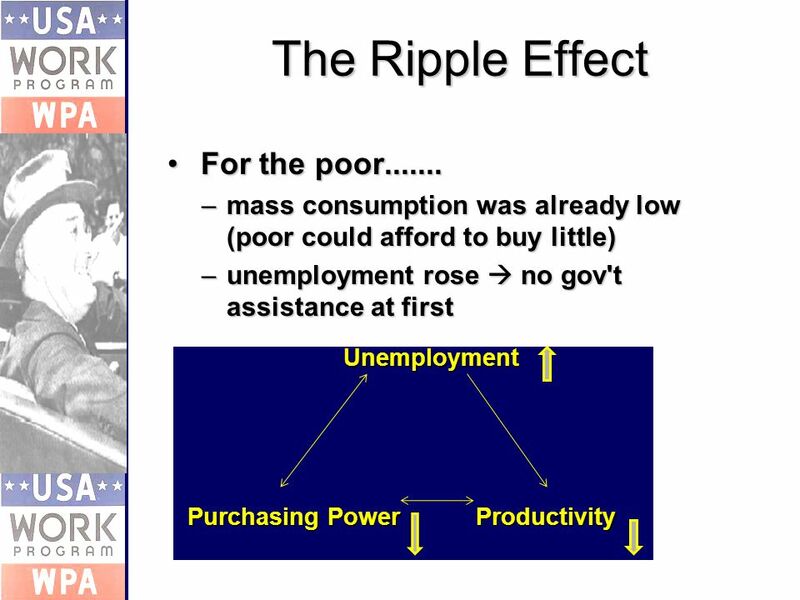 Concentration of wealth Over-extension. 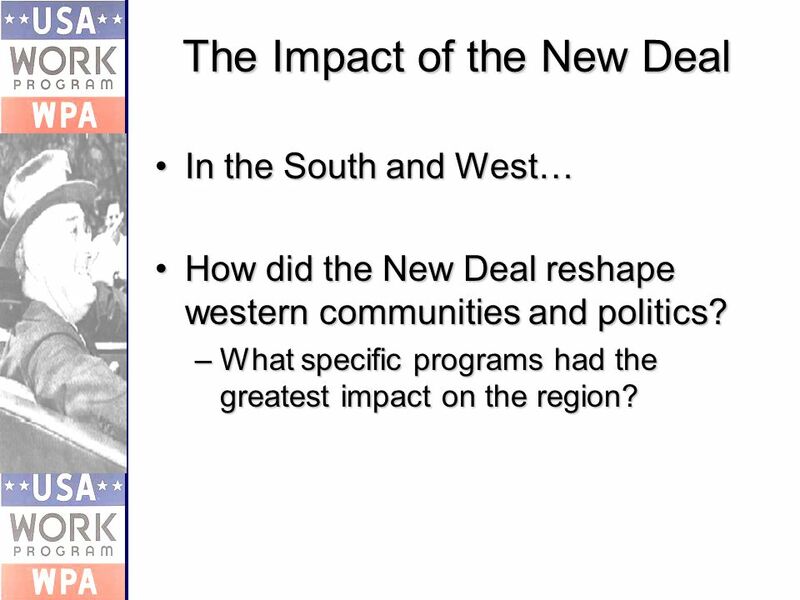 Essential Questions  What were the causes of the Great Depression? 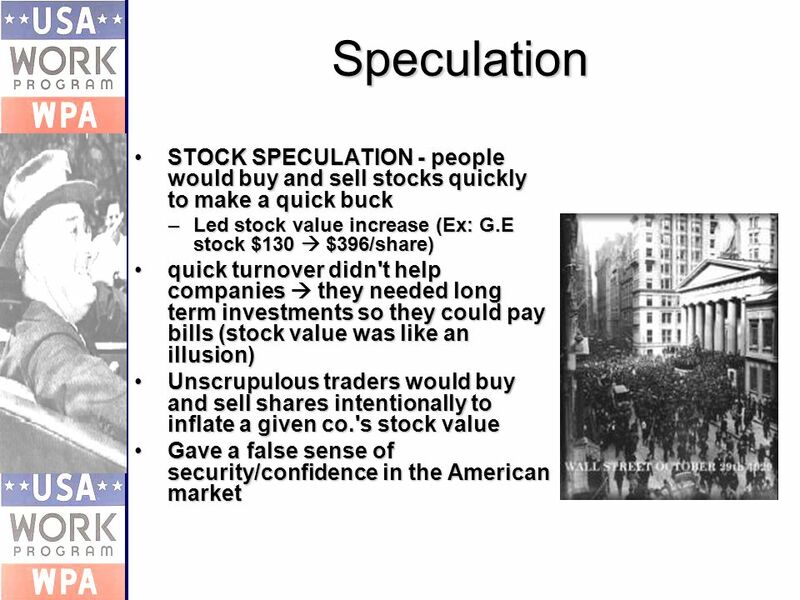  What were the effects of the Great Depression? 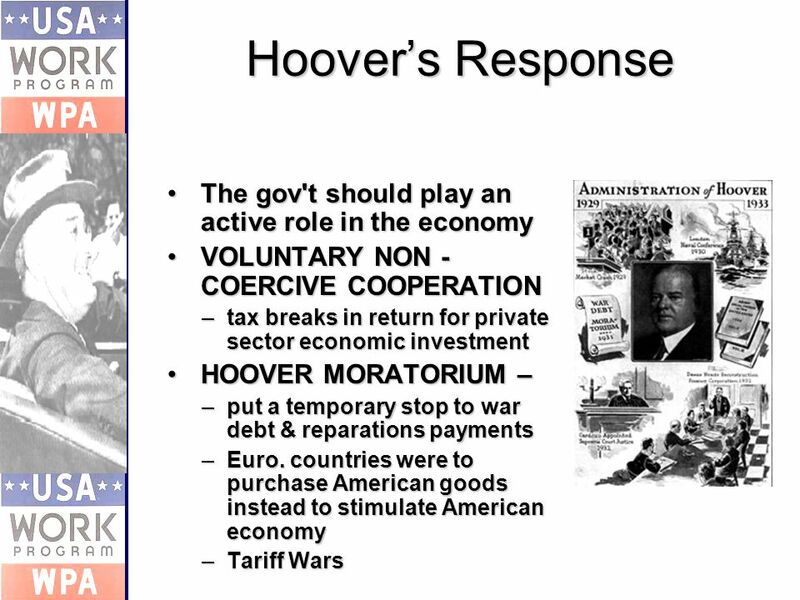  How did Presidents Hoover and Roosevelt. 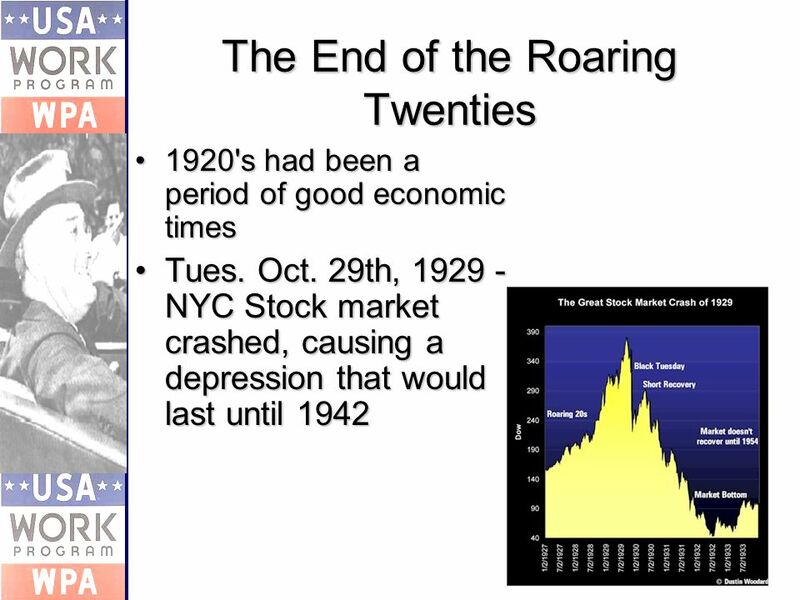 The Age of Anxiety & The Great Depression 1920’s & 1930’s.